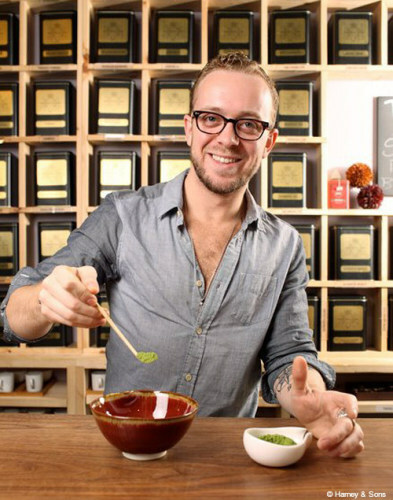 We recently caught up with Emeric Harney of Harney & Sons Fine Teas to discuss tea, travel, fashion, food and more. Q: What makes Harney & Sons unique? 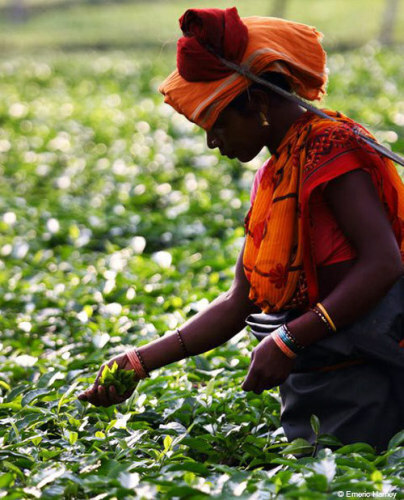 A: Harney & Sons is a tea company that is committed to making quality tea an everyday luxury. 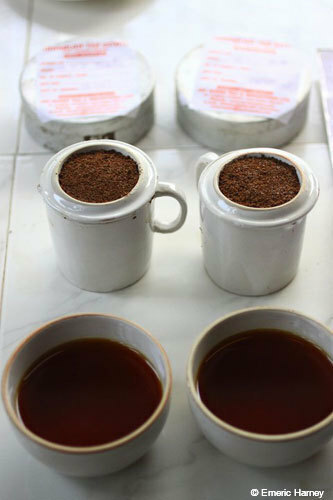 We pride ourselves on providing education on proper tea brewing methods as well as information on the teas themselves. 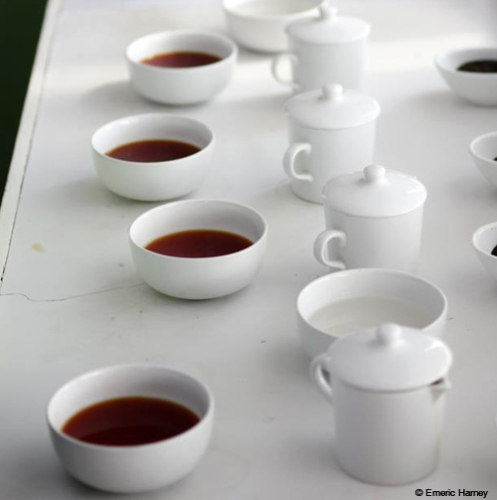 Q: How did your family get started in the tea business? A: My grandfather had graduated from the Cornell School of Hospitality and was managing inns around Connecticut. The food and beverage industry is intertwined with any hospitality venture, and so my father met a gentleman named Stanley Mason, a purveyor of loose leaf teas. At this moment, John Harney was managing the White Hart Inn. Stanley Mason was a third-generation tea importer and had started a company called Sarum Teas. Stanley saw in my grandfather great passion and charm, and John saw in Stanley an opportunity to learn from a master tea blender. My grandfather apprenticed with Stanley Mason and eventually, in 1983, started his own business. Q: What made you want to continue in the family business? A: I went into college with illusions and dreams of lights, fashion, fame. I became bored with each institution and eventually created my own photography business. 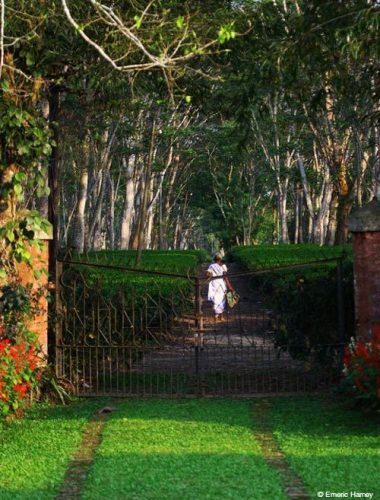 Asked by my family to do some images, I found myself on a tea estate in China. 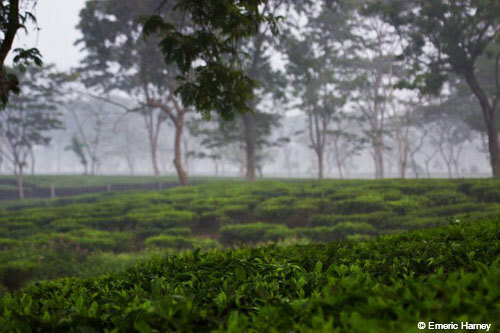 It was there, sipping tea with farmers and learning more about tea, that I realized I was overlooking something just because it was too close to home. Q: What is your position at Harney & Sons? A: It’s hard to say exactly what my position is! In a family business you wear so many hats. I’m the general manager of the flagship property in SoHo, New York City. I’m a buyer, traveling to the different countries to taste and buy teas and merchandise. I work in product development and sales, brand management, marketing and PR. 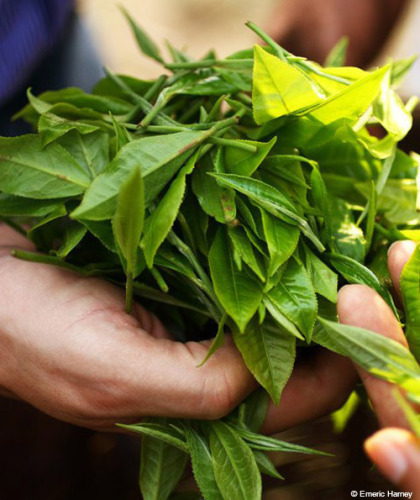 Q: How do you source your teas? 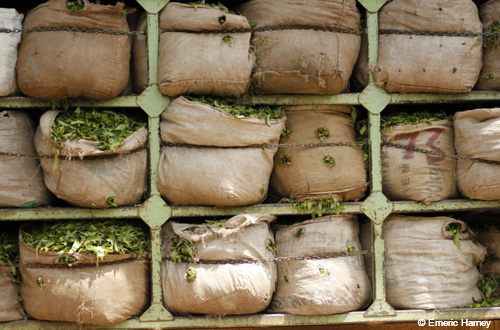 A: We use a combination of relationships directly with farmers and estates, as well as working with brokers who help us to screen through the large amount of teas produced each season. Q: How often do you travel for work? Where do you go? A: Each of the Harneys usually takes one major trip a year, as well as other trips for shows and promotions. In the past few years I’ve been to China, visiting the Zhejiang, Hunan and Fujian provinces. 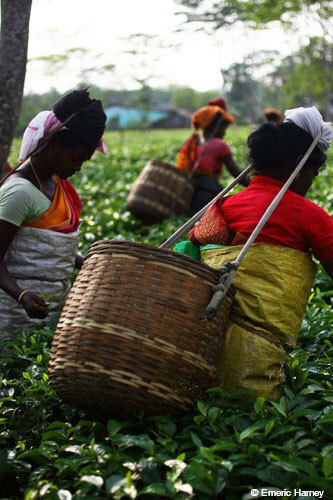 I also traveled to Assam and Darjeeling in India, as well as to Kenya, Rwanda, South Africa and Tokyo last year. 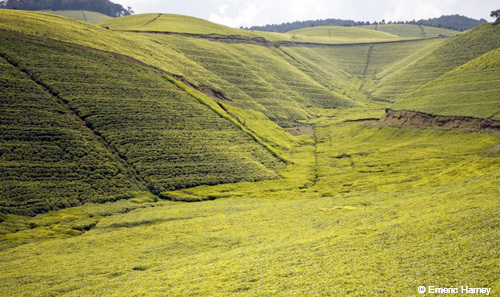 We aim to visit popular tea-producing countries, and I personally enjoy traveling to lesser-known tea-producing countries. Our other trips take us to metropolitan areas to do promotions at hotels, trade shows, etc. Q: Are there any tea museums, places or experiences around the world that you highly recommend for travelers interested in tea? 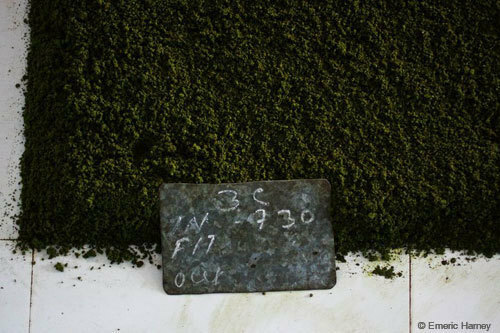 A: In Hangzhou, China there is a fantastic museum of tea that actually houses one of our blends. We’re the only Western tea company to have tea in this museum! Otherwise, I highly recommend afternoon tea at some of the hotels we provide tea to in England, including The Dorchester and Claridge’s. And if one ever gets the opportunity, traveling throughout Sri Lanka is an experience not to be missed! The island isn’t too large, and it is truly a marvel to travel from one coast to the other, taking in the beautiful beaches that rise up into the highlands where delicious black teas are made, and higher still into the mountains where exquisite, unparalleled white teas are handcrafted. 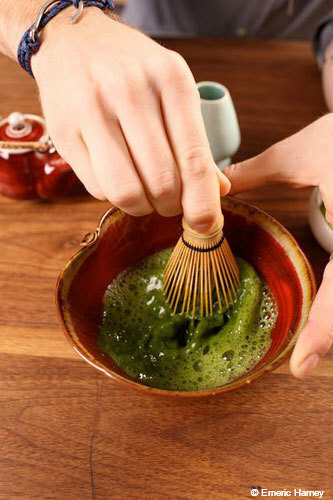 Q: Do you have any favorite tea houses or shops that you would recommend to travelers? A: Apart from our own, I really enjoy Samovar Tea Lounge in San Francisco, Radiance Tea House & Books in New York City, and Mariage Freres in Paris. All these shops provide high-quality teas, and Radiance even has one of my favorite menus for lunch and dinner! Q: Do you have a favorite tea? A: As the years roll on in the tea industry, I’ve found that my favorite changes more often than I ever expected, depending on season, crops and, of course, my mood! However, right now I’ve been really enjoying one of our Taiwanese oolongs, Wenshan Baozhong. It’s a beautiful, twisted oolong that evokes strong floral notes of Lily of the Valley and gardenia, and whose body is smooth, sweet and creamy. Q: How do you like your tea? A: I drink my tea straight! Q: What do you like to drink your tea out of? A: I drink generally out of ceramic or porcelain. Q: Do you have a favorite spot for afternoon tea? My favorite spot for afternoon tea here in New York City is the Crosby Street Hotel, which is part of the Firmdale group of hotels. Their afternoon tea service is spectacular, especially when you request the addition of Ruinart Champagne. The acidity of the champagne really helps to get your taste buds activated for the sweets and tea to come. Q: Where do you like to travel and why? A: I travel mostly for work, but I have to say the location that sticks out the most in my mind is India. 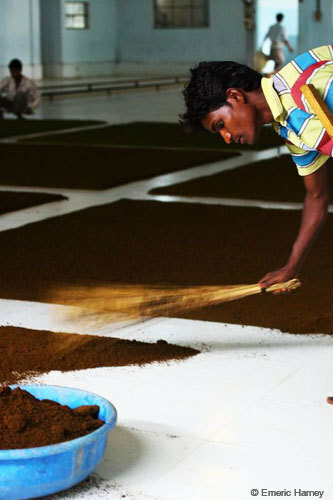 Visiting India is a humbling experience that makes you appreciate what you have, and working in the tea industry, it lightens my shoulders knowing that the career I’m in provides opportunities to Indian citizens that they wouldn’t otherwise get. The people there are so friendly and willing to share everything with you, a trait that isn’t always seen in the world. And certainly not last, the countryside is stunning! From the mountains of Darjeeling to the flatlands of Assam, and even down to the coast in Nilgiri, the country displays vibrant colors and magnificent landscapes. Q: Where will you travel next? A: This is still being decided, but it’s looking to be between Papua New Guinea and Indonesia or Colombia, Argentina and Peru. Q: What’s your favorite meal when traveling? A: Anything native to the country I’m visiting. Q: If you weren’t in the tea industry, what would you do? A: Before working for the family, I worked in fashion. I think I might still be in that industry, but more and more I find myself drawn to yoga and personal fitness. I think I’d make a strong advocate and teacher because of my passion and drive to better myself and help those around me. A: I love to go to museums, see shows, hike with my dog, go running, try new restaurants. Q: What are your favorite restaurants in New York City? A: I’m a big fan of the Norwood, Tipsy Parson, Le Zie and Izakaya Ten. A: Continuing in my Japanophile ways, I’m currently reading the series of books written by David Mitchell. I’m almost done with Ghostwritten. Just before this I was reading Shogun by James Clavell, possibly my favorite book. It inspired five tattoos!